I hunt a farm that’s wide open. It probably has only 20 trees on it. The farm used to be a cattle farm, and it has rock fences between the pastures. This farm also has a monument on it where Daniel Boone’s brother, Edward Boone, was killed. On a bluebird day, hunting a turkey on this farm is almost impossible, because those 20 trees that are on the property are right by those rock fences. On a bluebird day, each one of those 20 trees will have a dark, shady spot under it. The gobblers on this property will get in those shady spots, and they’ll spit and drum until the hens come to them. When the hens come to them, they’ll stay in that same shady spot as the gobblers. The rock fences aren’t but about waist-high, and when the gobbler struts, his tail feathers will just barely be over the top of the fence. After the gobbler struts, he’ll jump up on top of the rock fence and look for any predator that may be trying to sneak up behind him. After the turkey looks around, he’ll usually gobble. Then he’ll jump off the wall and get back in the shade of the tree where his hens are. There’s absolutely no way a turkey hunter can get in close enough to take that gobbler. So, here’s what my hunting partner Kerry Elliott and I did. We got a piece of cardboard and painted it red and brown, the same color as the cows in the pasture. We cut several holes in the cardboard and painted black around the holes, so they would look like spots on the cow. We could look through the holes, video through the holes and even could put our guns through the holes. Then we could shoot when we got close enough to the gobbler. We’d move our cow blind to within 30 or 40 yards of that rock fence. We’d put out a hen decoy and start mooing like a cow. Next, after the gobbler would strut on the other side of the rock fence, he’d jump up on top of that rock fence, and one of us would video him while the other person shot that gobbler off that rock fence. 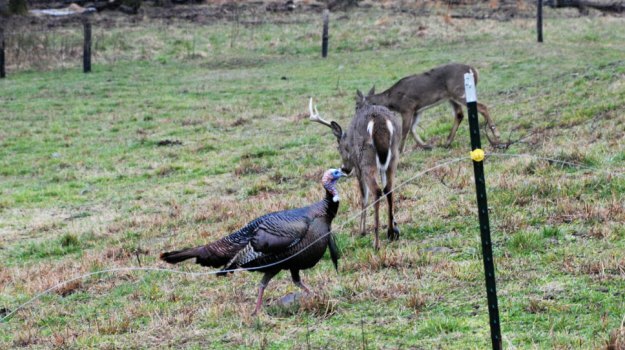 Using this tactic, we actually got within 20 yards of some of those gobblers strutting on those rock fences. As I looked at Kerry, I saw him put his hand over his mouth. Then I heard him moo. When the turkey didn’t fly, we started moving around again only slightly and mooing quite a bit. We got about 15 yards away from the tree and put out turkey decoys. We both mooed like cows, until we placed the decoys and returned to our tree. Just as the sun peeked through the darkness, that ole gobbler pitched right out to our decoys, we got him, and he rode home in our pickup truck. 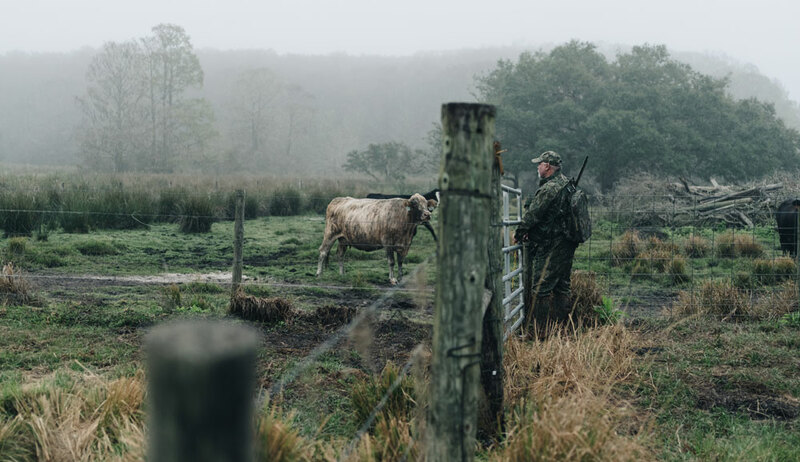 So now when we go in search of private land to hunt, we always ask the landowner, “Do you have any cows on your property?” We've learned that cows on the property you hunt are a good thing. 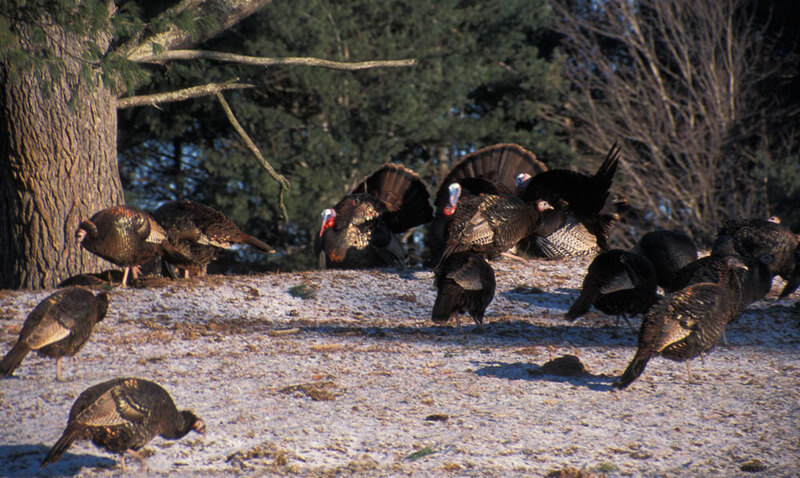 Turkeys love strutting in the short grass in a cow pasture, and when the cow patties dry, turkeys will flip them over and eat the bugs under them. 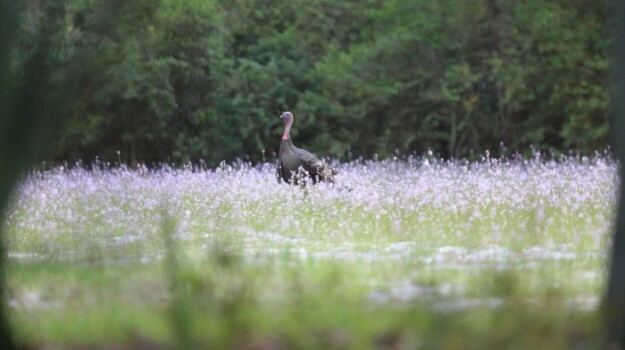 We like to get permission to hunt in cow pastures where most other turkey hunters won’t hunt. 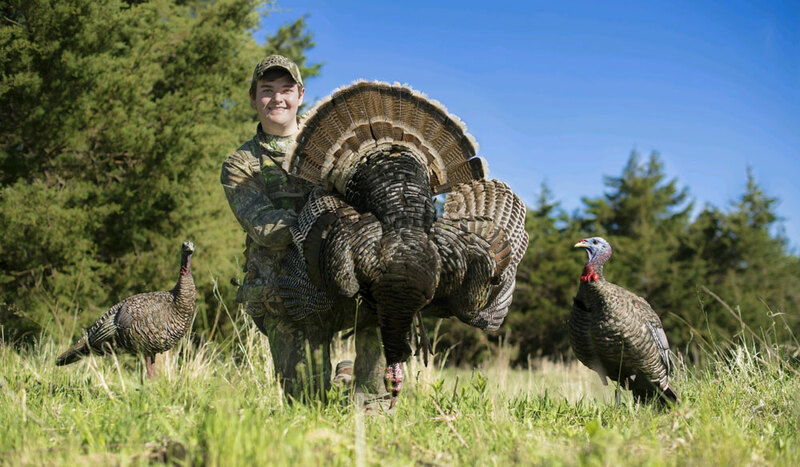 Jesse Martin, from Mount Sterling, Kentucky, won the Head-to-Head Division of the 2018 National Wild Turkey Federation (NWTF) Grand National Turkey Calling Championship, competing against 32 other callers. He also won the team calling championship with his partner, Mossy Oak ProStaffer Kerry Elliott. Last year at the Grand National, he won the Senior Open Championship. He's won 10 consecutive Kentucky state championships, more than 40 Open State Championship titles and two World Team Challenge Championships and finished in the top five in the Grand National Open Division 10 times. Our view from inside the nearly negligible protection of a windowless barn could have seemed almost comedic under different circumstances. Outside, gusty winds drove fat, heavy snowflakes at a 45-degree angle while roosted turkeys clung desperately to the violently rocking limbs of a giant cottonwood. Yes, it might have seemed humorous were it not the day before a 3-day Wyoming hunt on the third leg of my Grand Slam. Many people don’t know that at one time Florida produced more cattle than Texas and any of the other western states. Today, Florida is still one of the top cattle-producing states in the nation. In Florida, you'll see numbers of improved pastures that seem to go on for miles. So knowing that I want my calls to travel a long way, I like to use high-frequency friction calls to get a gobbler’s attention. Feral hogs are not native to our land. They are invasive creatures that multiply at a tremendous rate and create havoc to native wildlife and plant communities. Left unchecked, they change the environment and your ability to cultivate it for native species.